Reporter, A Current Affair, Brisbane. I completed a variety of work experience at radio and television networks across the south east. I got my first a job on graduation day 2009, working as a journalist for WIN News in Cairns. It was a fantastic place to start as a young journo – a beautiful lifestyle with a busy and quirky news market. I was there for nearly a year and a half, where, for eight months, I was Bureau Chief. It was a challenging role at the age of 22, but many have been there in our industry and it was a great learning curve. My most memorable experience in Far North Queensland was covering Cyclone Yasi. It was incredible to see the aftermath first-hand and share some of the devastating and heart-warming stories. My next job as a journalist was with Nine News on the Gold Coast. I started at the end of 2011 as the police/crime reporter, which is a fast-paced and dynamic round on the Coast. Murders, bikie gang wars, shootings, hold ups – it’s a sad reality, but in just over a year, I covered most crimes imaginable. 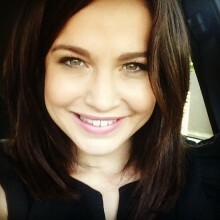 In 2013, I was transferred to the Brisbane newsroom, keeping my position as the crime reporter, but covering news across the state. It was a very busy role and networking was crucial. If something breaks within the round, the police reporter will spend all day at a crime scene crossing live from as early as when the Today show starts and then packaging into the 6pm nightly news. It is a great experience and tests how quickly and accurately you can produce a story. At the end of 2013, I moved over to Channel Nine’s national program A Current Affair. To some, it seemed a questionable move, but I have never looked back. I have learned some valuable lessons that’ve shaped me as a person and a journalist – covering human interest stories, to standing up for everyday people, to exposing con-artist and criminals. In one instance, I helped raise nearly $30,000 for treatment for a child who is allergic to the sun. Outside of work, I enjoy being active, running and yoga, cooking, playing with my dog Indie and travelling. It has been an interesting and irreplaceable journey in the broadcast media world, and I am grateful for the opportunities that have come my way. I look forward to seeing where else this job might possibly take me.